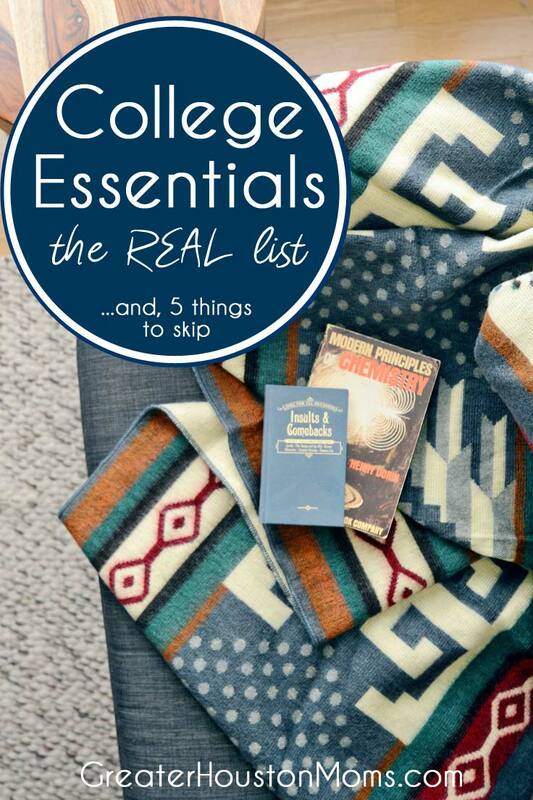 The list of college essentials student need is long and prolific and, usually, quite repetitive. If they are in a dorm you need XL Twin sheets, a shower caddy, and earplugs (in case you end up with a roommate with an aggressive snoring problem.) Once you get past the basics there are few other items that make up the recipe for college success. The types of things that will help reduce frustrations by anticipating them and will, overall, make off-to-school, an experience of excitement, unknown, and expectation, one of smooth sailing and fun! A security blanket of sorts because you need to send them off with something that is soft, durable, and (of course) cute – just like you!� College days can lead you anywhere and having a blanket that can act as an extra layer, travel to a field or beach, and do a little couch surfing is a college essential.� Most throws are barely big enough to cover a small child.� We suggest investing in something a little more for your out-into-the-world child. People today, particularly our�young adults, are more conscious of where their items come from. 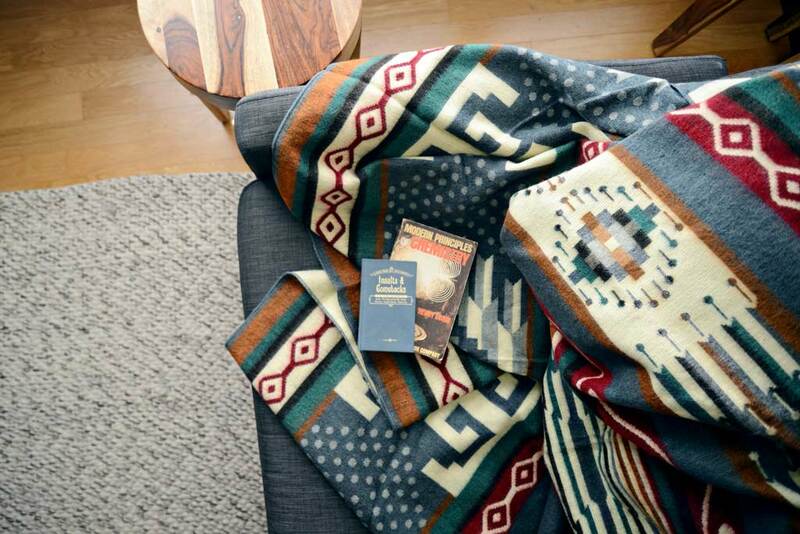 They want to be able to know the story of their items is a good one.� Ecuadane Blankets are a perfect option because they are sustainably made, oversized – spacious enough for an adult-sized sized person, durable – each blanket is made of a blend of recycled materials, alpaca,�and merino wools, easy to care for – they can be machine washed and dried (gently), they make a difference – $10 from each sale is donated to the Baca Ortiz Children’s Hosptial in Ecuador (where the blankets are made), and they are beautiful – reflective of the Otavalo culture. With a variety of price ranges, these personal concierge�machines can play music, set reminders and alarms, fill a shopping list, order a pizza, act as a picture frame, and even “drop in” at home for a quick chat when a bout of homesickness takes over…or they need a quick reminder on how to boil water. Studying happens everywhere on a college campus and technology is here to stay.� Having a backup power hub may be a� lifesaver (or a chance to meet that cutie who is freaking out that their phone is about to die. )� In this day and age, everyone has a pile of little chargers and those may save you for a moment but there is little risk in being overprepared.� A significant power source like the Mophie Powerstation 8x is slim (about the size of a cell phone) and can charge�two devices. And, don’t forget the surge protector (with USB ports, of course)! Dorms are also noisy places.� A good pair of noise cancelling headphones will be worth the initial investment and free up your student to study anywhere. Closet space will be at a premium.� Now may be a good time to embrace minimalism or a capsule wardrobe.� Whatever you choose space will still be tight!� Consider upgrading your closet with�Slim Hangers, a tall hamper, an extra closet rod,�over the door hooks, and a full-length mirror. Bed risers are great to grab extra storage but who knows if your dorm room is compatible – are there bunks? Are the bed’s feet going to fit on the risers?� This is just one instance, but anything that has a question mark can probably be shipped from Amazon Prime free later. That cute fuzzy chair?� Hard sided�luggage?� Space is at a premium. Skip anything that is not collapsible.� If you do have a smidge of extra room and have to have a futon, at least consider something that collapses. No matter how neat your child is chances are cleaning is not going to be a top priority.� Rugs may make the dorm feel homier, but will they actually vacuum them?� Particularly, if your child is prone to allergies this is something to skip.� Send them off with an industrial size tub of Clorox wipes and hope that immune building is still a parenting thing. Tell your child to pick up the phone and call their new roommate – like, for real – where the other person speaks to you…with words.� Synchronize your stuff.� You do not want to have to lug things home because you both brought a TV, microwave, or vacuum cleaner (hopefully…). It will save you and your student money.� There might be a bit of an inconvenience at times but most college campuses are set up for walking and biking.� Beyond that, you will save on car payments, insurance, parking passes, parking tickets, and gas for a car that will most likely sit in a garage 90% of the time. Invest in a good pair of athletic shoes, a bike, and a bus pass. Uber and friends can fill in any voids. Next Post: The Dog Days of Summer are Here – Let’s Celebrate with a GIVEAWAY!